Today I had a meeting with Ashley Highfield; Director of Future Media & Technology at the BBC. 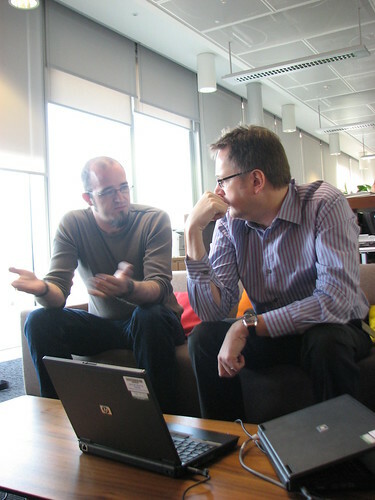 The meeting had been scheduled so we could talk about Ubuntu, discuss Open Source and discuss the BBC. It was an excellent, productive session, and we discussed a range of issues, including Ubuntu, Open Source, the Open Source development model, community, free culture and other issues. The meeting has been written up on a few blogs. Chris has asked the question we’re all dying to know! Woo Hoo….Big time with the BBC. That’s awesome! Congrats!